The custodial history of the records is unknown until they came into the possession of Bob Surtees, who had been planning to write a history of Nipissing University before his death in 2001. His wife Margaret Surtees donated the records to the Archives in October 2014. Files 0076-09, 0077-01, 0077-02 were not part of the Surtees donation and their custodial history is entirely unknown, but it is likely that they were transferred from a Nipissing University department to the Library sometime before the Archives was formally established in 2014. Fonds reflects Ted Sobisch's work with the Executive Council of the Northeastern University Committee (1960), the Executive Council of Northeastern University (1960-1966), Nipissing College's Board of Governors (1967-1975), and the Nipissing College Advisory Committee (1967-1970). Additionally, the fonds documents Sobisch's research and writing of an unpublished book titled <i>A University is Born : The History of Northeastern University College,</i> and it also reflects the work of Herb Brown as a member of the Northeastern University Committee, Executive Council of Northeastern University, and Nipissing College's Board of Governors. Fonds is arranged into five series based the committee or project they relate to, or based on provenance in the case of Herb Brown's records. Some files are contaminated with mould - please see physical condition notes in file descriptions. Donated by Margaret Surtees in October 2014, with the exception of files 0076-09, 0077-01, and 0077-02. 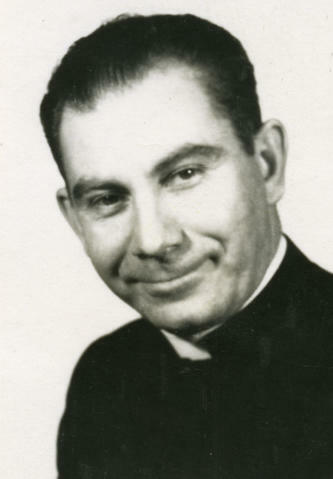 The image linked to this description is a detail of a portrait of Father Ted Sobisch from a press release entitled "University promotion man added to Scollard staff," which is part of file 0074-15.